The thyroid is a small, butterfly-shaped gland found near the base of the neck. It produces hormones that regulate vital metabolic processes throughout the body. 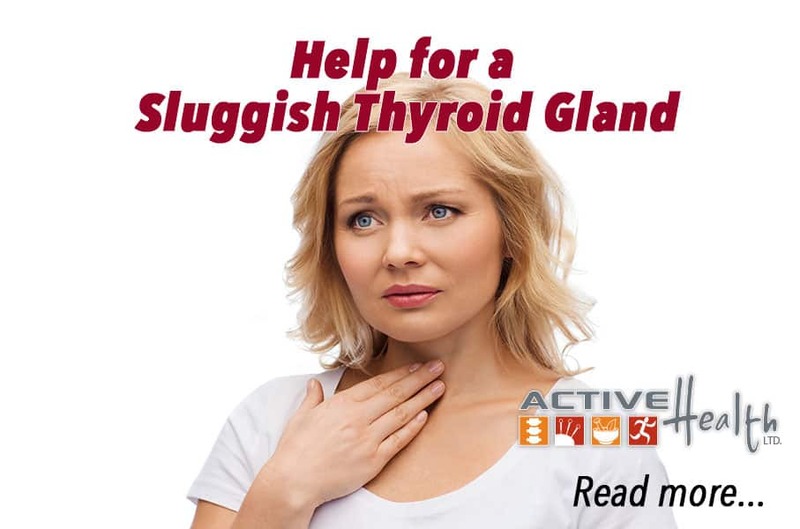 Hypothyroidism or sluggish thyroid is becoming a common reason for low energy and weight gain that cannot be attributed to poor lifestyle choices alone. Hypothyroidism is more common in women than men. Your primary care physician, chiropractor or naturopath can order a simple blood test to determine if your thyroid function is normal. Once an abnormal thyroid is diagnosed a simple hormone replacement can be prescribed by your physician help normalize your thyroid hormone levels. Patients can often experience symptoms similar to hypothyroidism as a result of poor diet, stress and relative nutritional deficiencies of vitamins and minerals. The chiropractic physicians can provide holistic and natural adjunctive support with patients diagnosed with hypothyroidism or hypothyroid like symptoms. The chiropractic physicians at Active Health take a natural and holistic approach to supporting your thyroid function. Diet: Reduce the simple carbs in your diet!!! This should be the starting point for anyone feeling sluggish. 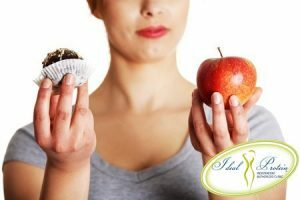 People eating a diet high in refined sugar and starches will feel an immediate boost in energy from dietary modifications that includes complex carbohydrates such as vegetables, healthy fats and protein. We cannot emphasize enough how important proper diet can be to improving one’s energy level. Our chiropractic physicians can help you design a menu that you can be comfortable with. Nutritional Supplements: If dietary changes do not improve your energy levels enough you should talk to your healthcare provider about using nutritional supplements to support your thyroid. Your thyroid is one link in the chain of glands called the endocrine system. Often the stress of modern life can overwork the system resulting in symptoms of an abnormal thyroid such as fatigue weight gain hair loss etc. People often experience these symptoms but have completely normal blood work. One should consult with a healthcare provider to have a thorough history and evaluation to determine where there is an imbalance. Typical nutritional support for the thyroid may include homeopathic remedies, herbs or simple nutrients such as minerals or hormone free glandular support. Stress Reduction: Therapeutic massage, Chiropractic Manipulation and exercise may be recommended to help counteract the effects of stress. Chiropractic care: Spinal manipulation cannot directly treat thyroid disorders. It is effective in stimulating and balancing the nervous system in order to balance the abnormal stress levels we all experience. Chiropractic manipulation should be considered as one of the many tools in a holistic approach to care. Acupuncture: As we described above, the thyroid is only one part of a larger system of glands called the endocrine system. The holistic approach to care is to not only support the thyroid gland but bring a balance to the entire endocrine system. Acupuncture treatment for thyroid involves bringing a balance to the endocrine system by stimulating various points along the body in order to balance the body’s energy or chi. The Chiropractic Physicians at Active Health take a holistic approach to naturally support abnormal thyroid symptoms by combining nutrition, supplements, herbs, homeopathy and acupuncture. Call or schedule an appointment at our Park Ridge, Illinois office at (847) 739 3120.